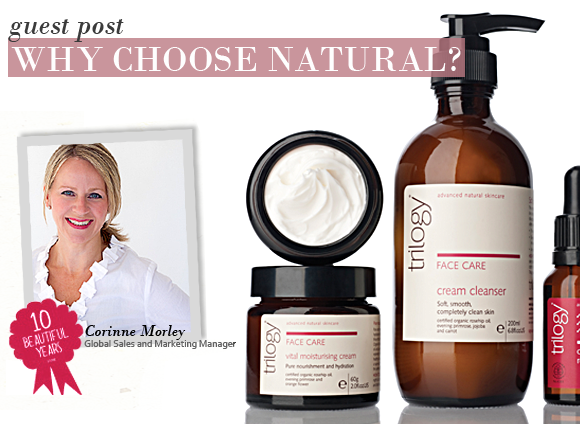 Products that work in true harmony with your skin need fine, natural ingredients in their purest form. Here at Trilogy we make no compromises. Pure plant oils are at the heart of natural beauty. We love botanicals for their simplicity, natural affinity with the skin and the concentrated goodness they contain. Plant oils have been used to care for skin for thousands of years. Many oils extracted from nuts, seeds and fruit are beneficial and are completely compatible with the skin, sinking in quickly, nourishing skin and providing a protective, yet invisible barrier which helps prevent loss of moisture and guards against the drying effects of the environment. Pure plant oils have a finer molecular structure than mineral oils and many are similar in design to our own natural skin oil (sebum). They are readily accepted and absorbed by the skin and are not shown to clog or irritate pores or disrupt normal, healthy skin cell function. As we are also concerned that increasing consumption has had a negative impact on our world, our business has a real and demonstrable ethical backbone. We are committed to natural ingredients, and cultural, ethical and environmental sustainability. This means ethical sourcing, environmentally friendly packaging, biodegradable components, minimising waste, no animal testing and a commitment to creating a meaningful business. We believe that people want to make more natural and ethical choices with their skincare but without having to sacrifice quality. This belief informs everything we do at Trilogy and ensures we produce high performance products which deliver ‘maximum effect on your skin, minimum effect on our environment’. This entry was posted on Wednesday, August 22nd, 2012 at 9:10 am and is filed under Brand Focus, Skincare. You can follow any responses to this entry through the RSS 2.0 feed. You can skip to the end and leave a response. Pinging is currently not allowed.